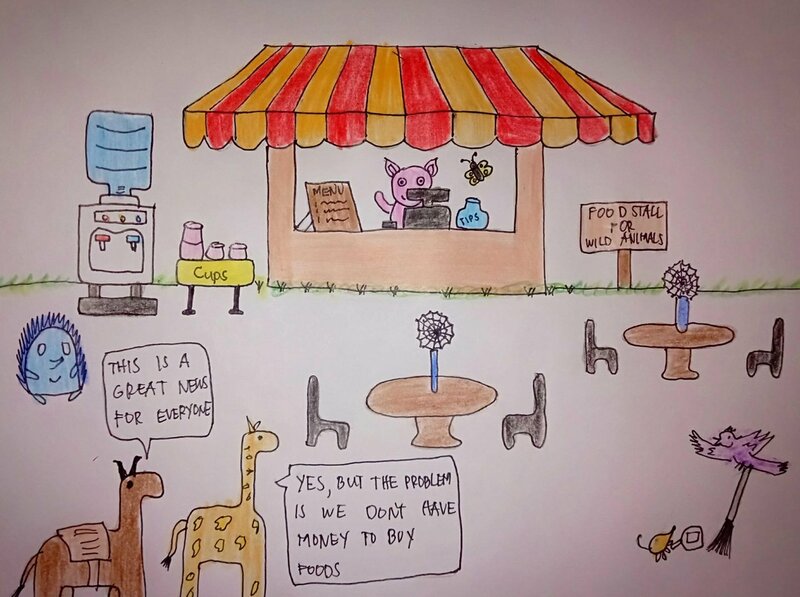 They planned to feed the wild animals by building a food stall in the forest. Through their teamwork and hardwork the food stall was built. Pinky and Betsy are in charge in the cashier and taking the orders of the customers. Spiky is in the side where the dispenser is located. He is in charge of serving the wild animals some hot coffee, tea, and milk cause they really need it to keep them warm during the cold weather. Victor put some webs on the table to catch the flies. In this way the customers will not be bothered by flying insects. While Dietrich and Cornelius are in charge of maintaning the cleanliness of the place and surroundings. They will need to have some money, so that they can eat. But the problem is where and how they can find or earn some money.